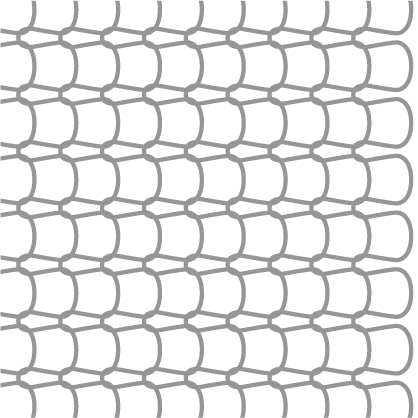 Mesh is usually specified by the number of stitches per cm. The range of meshes is considerable but for practical purposes these are from 0.5 stitches per cm to 6 stitches per cm. 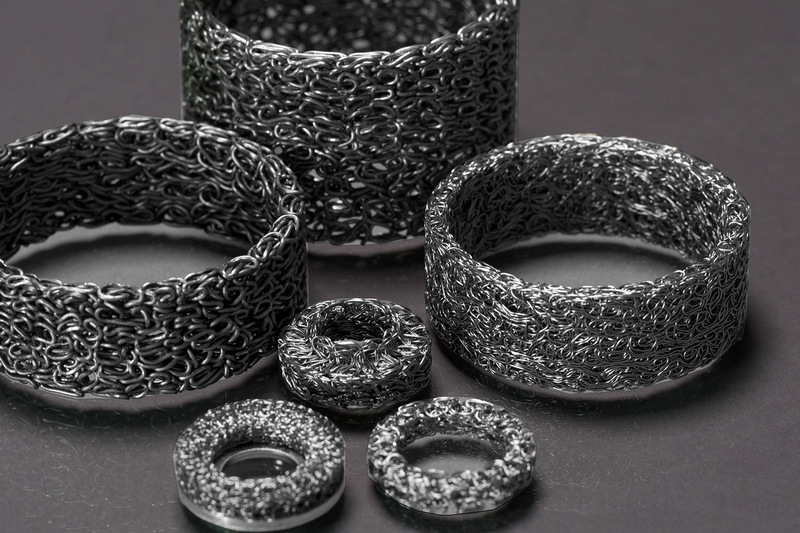 Meshes can be grouped into five broad categories: fine, medium-fine, standard, coarse and super-coarse, but these divisions can cover a wide range of products. Using various filament diameters and mesh sizes, along with different crimping, calendaring, folding, layering and rolling processes, the product scope is almost unlimited. 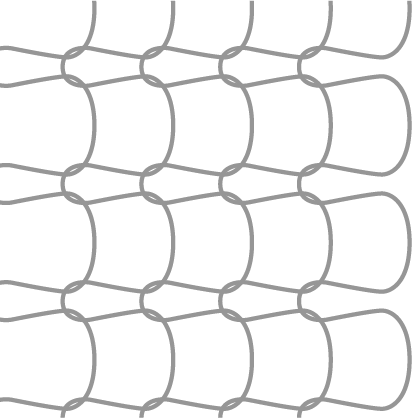 Knitted mesh can also be produced in plastic and other fibres - the most commonly used being polypropylene, Hostaflon, Teflon®, glass wool and silica yarn. The figures given for the number of stitches per cm are only approximate, as many variables can significantly affect the stitch size. 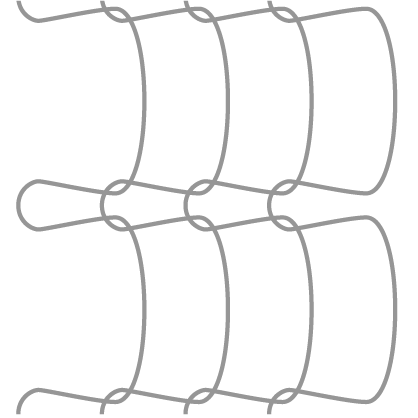 Filaments for fine meshes are circular in section. 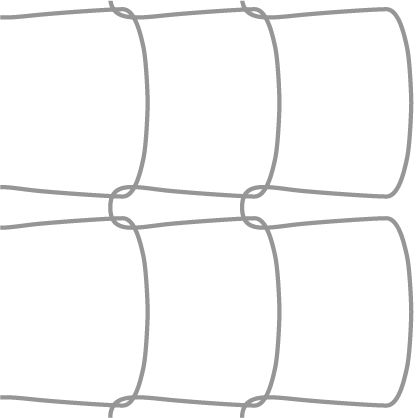 However for standard, coarse and extra coarse mesheswe can use circular section or flattened section filaments which increase the surface area. 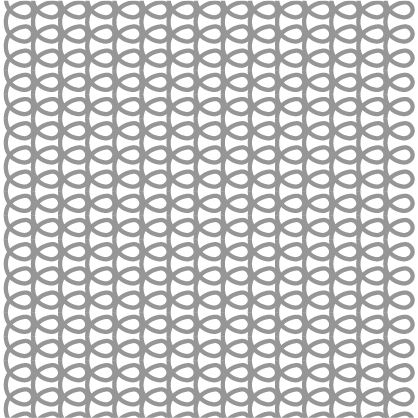 The table opposite shows only the most commonly used meshes. A more comprehensive range is available, and we can knit various extruded monofilaments as well as monofilament or spun fibres.